It’s not the first time Cancun’s hotel and resort owners have turned to the federal government and asked elected officials to tap the public treasury and fund projects aimed at countering and preventing beach erosion. By and large, they have proven futile, leaving behind a depleted public treasury and local residents, workers and public agencies to deal with the consequences. The story is pretty much the same along the U.S. Eastern Seaboard. From Miami Beach to Cape Cod and beyond, multinational hotel and resort groups and the world’s rich and famous have invested billions to develop properties in fragile beachfront and coastal ecosystems that are proving to be all too ephemeral in nature. Threatened by rising sea levels, they’re turning to national governments and public coffers to bail them out – literally and figuratively. In the latest instance, Cancun hotel and resort association members want Mexico’s federal government to fund construction of an artificial barrier reef. Previous examples failed to achieve their goals. 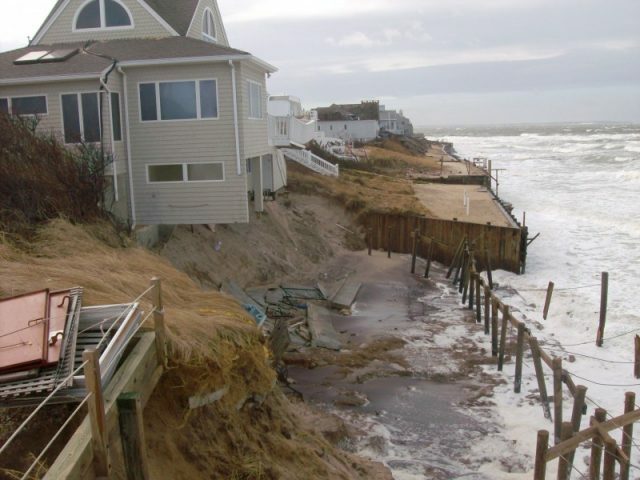 Rising tides and storm surges merely swept around, through and over them and continued the inexorable process of shifting sand and other sediments, eroding coastlines in some areas while building them up in others. Cancun was the host city for the 16th UN Framework Convention on Climate Change (UNFCCC) Conference of Parties (COP-16). Drawing thousands of UN representatives, government leaders and their entourages alone to Cancun, the event attracted worldwide media attention, as well as ¨mucho dinero¨ for hotel and resort owners. It seems the substance of the UNFCCC got lost among the event’s hype, however. Akin to counterparts in other countries, ecosystems protection and conservation at best have been secondary considerations for Cancun’s property developers, multinational hotel and resort chain investors and Mexico’s government leaders. The ecological reality and repercussions of aggressive, intensive property development have and continue to be given short shrift. Like Chrysler, Bear Stearns, Lehman Brothers and a long list of other powerful, well moneyed vested interests, they have been turning to the government and public treasury to save their investments and businesses. Results of such ecological salvage efforts to date make it clear that spending more public funds on projects to shield beachfront from further erosion would amount to nothing more than throwing more good money after bad. 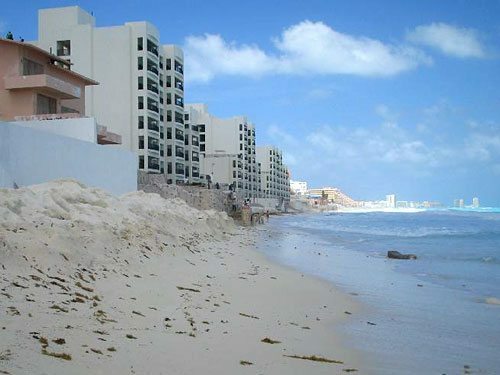 More than 30 meters (99 feet) of beachfront have been washed away in central Playa del Carmen since the first attempts to stem the rising tides and beach erosion began in 2010. That’s threatening more than $200 million worth of businesses situated in the small area between the city’s two ferry docks alone, according to a Nov. 4 Riviera Maya news report. “Hoteliers lacked proper planning when building their facilities along beach areas and instead, focus on economic development,” Riviera Maya News paraphrased Pablo Alcocer Góngora, president of the Playa del Carmen National Chamber of Commerce Services and Tourism (Kanak-Servytur). In another ironic twist, geological data from the northeastern Yucatan Peninsula where Cancun and Playa del Carmen are located have upset scientists’ longstanding hypothesis that the last major rise in mean global sea level occurred gradually over the course of thousands of years. Fossilized coral reefs in the Yucatan provide scientists who can decipher and interpret them one of the few continuous geological records of sea level changes, as well as a wealth of additional data and information regarding environmental and ecosystems evolution in an interglacial period. Sea levels in the region rose 3 meters (10 feet) in just 50 years, geologists from the Universidad Autonoma de Mexico found. 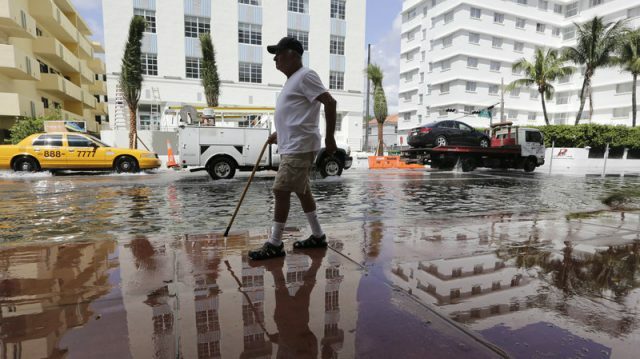 ¨This is the first evidence that we have for rapid change in sea level during that time,¨ lead researcher Paul Blandon was quoted in a Nature News report. This extraordinarily rapid rise in sea level occurred some 120,000 yeas ago in an interglacial period when the climate was warming rapidly. Human civilization as we know it began and continues to develop in the one we live in today. Only a collapse in global ice sheets could account for the rapid sea level rise experienced around 120,000 years ago, according to the UNAM researchers, whose research paper was published in Nature. The implication is that sea levels may rise much faster than consensus and political expectations, such as those set out by the UN Intergovernmental Panel on Climate Change (IPCC). Sea levels peaked at 6 meters (19.8 feet) above their current levels during the last interglacial period, suggesting the same thing could happen in our own time.